The Salmon of Doubt, Hitchhiking the Galaxy One Last Time is a posthumous collection of previously unpublished material by Douglas Adams, published in 2001. English editions of the book were published in the USA and UK in May 2002, exactly one year after the author's death. 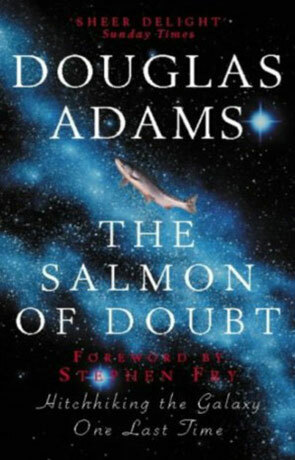 It consists largely of a compilation of essays, most of which have a technological edge, but its major selling point is the inclusion of the incomplete novel on which Adams was working when he died (and from which the collection gets its title, a reference to the Celtic myth of the Salmon of Wisdom). Written on 20th July 2008 by Ant.